The Centre for Continuing and Professional Education (CPE Centre) was established in 1999 to provide continuing professional education and lifelong learning opportunities to staff, students, alumni and the public. As part of TAR UC’s commitment to continuing education and lifelong learning, the CPE Centre is entrusted with the role of designing, developing and delivering a wide variety of activities, workshops and programmes to meet the diverse learning needs of all parties. To provide administrative services and facility support for the organisation of professional conferences, symposiums, forums, seminars, workshops and talks. 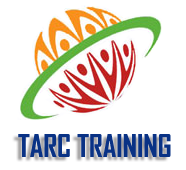 TAR UC is registered as a Training Provider under the HRDC/PSMB, Ministry of Human Resources, organises courses and workshops for PROLUS, SBL-KHAS, SMETAP as well as SBL Schemes. 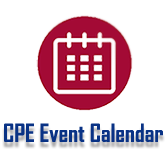 CPE Centre conducts public courses, seminars and workshops on professional, managerial and technical areas, as well as, soft skills on a regular basis. These programmes are open to students, alumni, individuals, communities and businesses. CPE Centre offers quality training workshops with a unique combination of professional facilitators and delivery options hence enhancing the effectiveness of the learning process. These training workshops offer the opportunities for individuals to enhance their career paths and improve their employability. The workshops also help to impart essential skills needed by employers to develop their workforce. The design of our workshops allows us to offer both standard and customised courses that are tailored and planned to meet the specific needs of learners and organisations. The CPE Centre plays an active role in organising conferences and forums for the University College. The Centre is the Secretariat for the TAR UC International Conferences on Learning and Teaching which is organised biennially to promote and share research knowledge, experiences and expertise on developments in learning and teaching, as well as, best practices in higher education. The Centre also organises the TAR UC - Employers Forum annually to foster closer ties between the industry and the College in education, training, research, commercialisation and other collaborations. The TAR UC - Employers Forum provides an excellent platform for academia-industry dialogue to provide feedback and advice on human capital development and market trends in the industry.